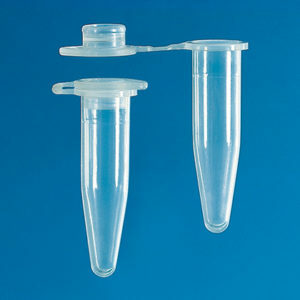 Product and ordering information for Microcentrifuge Tubes: 2.0mL; non-sterile; clear; autoclavable. 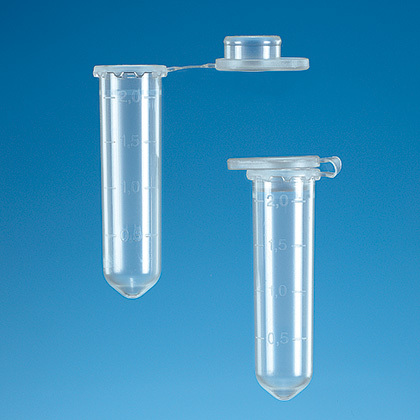 BRAND microcentrifuge tubes fit most common rotors and may be spun up to 30,000 RCF (g) (10,000 x g for 0.5mL; 20,000 x g for 1.5mL; 30,000 x g for 1.5mL and 2.0mL with lid closure at 20°C for 20 min). Manufactured from virgin polypropylene, these highly translucent tubes are free from flash, air bubbles, and streaks. Caps form a tight, leak-free seal that is easy to open, even when wearing gloves, and are flat with consistent thickness for trouble-free piercing. Tubes have uniform wall thickness for consistent, repeatable results. Subdivisions for approximate volume determination. 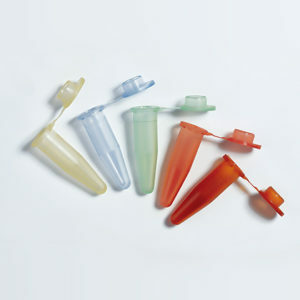 Microcentrifuge tubes with lid closure are certified DNA-, DNase-, and RNase-free. Autoclavable at 120°C (2bar), according to DIN EN 285. Are the microcentrifuge tubes autoclavable? Yes. 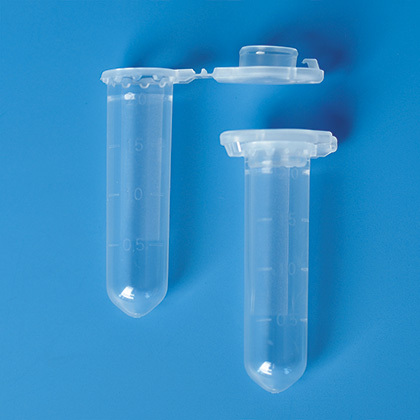 The microcentrifuge tubes are manufactured of polypropylene and can be autoclaved at 121°C (2 bar, acc. to DIN 285). Do the BIO-CERT® microcentrifuge tubes have an expiration date? Yes. All sterile products have a shelf life. The expiration date is noted on the Certificate of Analysis provided with BIO-CERT® products. What is the shelf-life of the non-sterile microcentrifuge tubes? The shelf life of disposables depends on the package as well as on the storage conditions (store in a dry place and protected from light), so non-sterile products do not have a specified shelf life. Microcentrifuge Tube Racks - Available in 20-, 84-, and 128-tube versions. 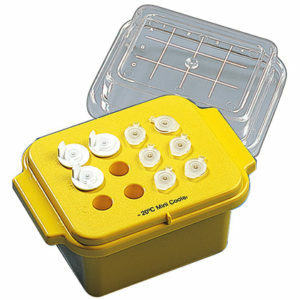 Microcentrifuge Mini Cooler - Hold 12 microtubes from 0.5mL to 2.0mL.